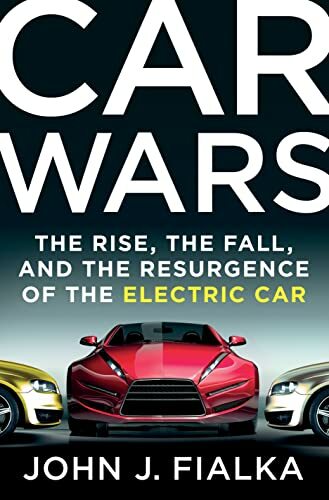 [PDF] Car Wars: The Rise, the Fall, and the Resurgence of the Electric Car | Free eBooks Download - EBOOKEE! Description: The resurgence of the electric car in modern life is a tale of adventurers, men and women who bucked the complete dominance of the fossil fueled car to seek something cleaner, simpler and cheaper. Award-winning former Wall Sreet Journal reporter John Fialka documents the early days of the electric car, from the M.I.T./Caltech race between prototypes in the summer of 1968 to the 1987 victory of the Sunraycer in the world's first race featuring solar powered cars. Thirty years later, the electric has captured the imagination and pocketbooks of American consumers. Organizations like the U.S. Department of Energy and the state of California, along with companies from the old-guard of General Motors and Toyota as well as upstart young players like Tesla Motors and Elon Musk have embraced the once-extinct technology. The electric car has steadily gained traction in the U.S. and around the world. We are watching the start of a trillion dollar, worldwide race to see who will dominate one of the biggest commercial upheavals of the 21st century. Drawing from the last decade of his 26-year career at the Wall Street Journal, where he covered energy and environmental matters, ClimateWire founder and industry insider John Fialka brings to life this thrilling and important story about American's rejection and second obsession with the electric car. No comments for "[PDF] Car Wars: The Rise, the Fall, and the Resurgence of the Electric Car".